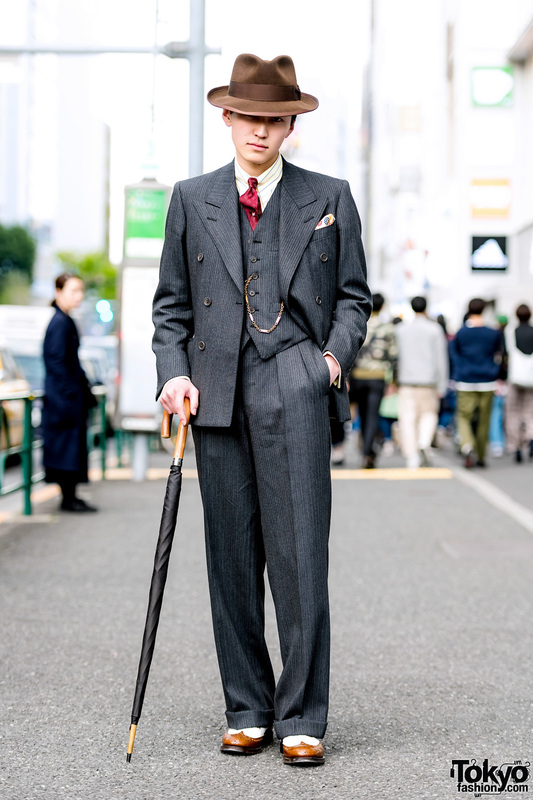 Japanese guy showcasing a dapper retro suit street style while out and about in Harajuku. 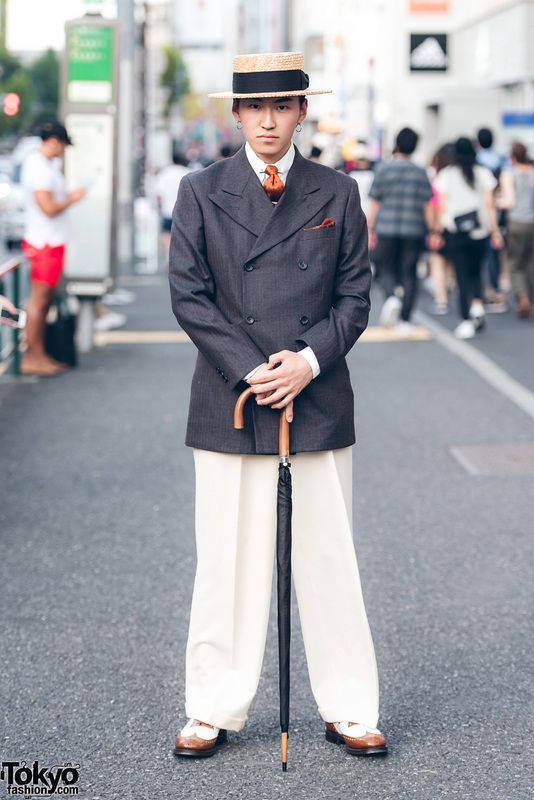 Harajuku dandy in vintage street style with double breasted blazer, pleated pants, two-tone wingtip shoes, necktie, straw hat, and an umbrella. 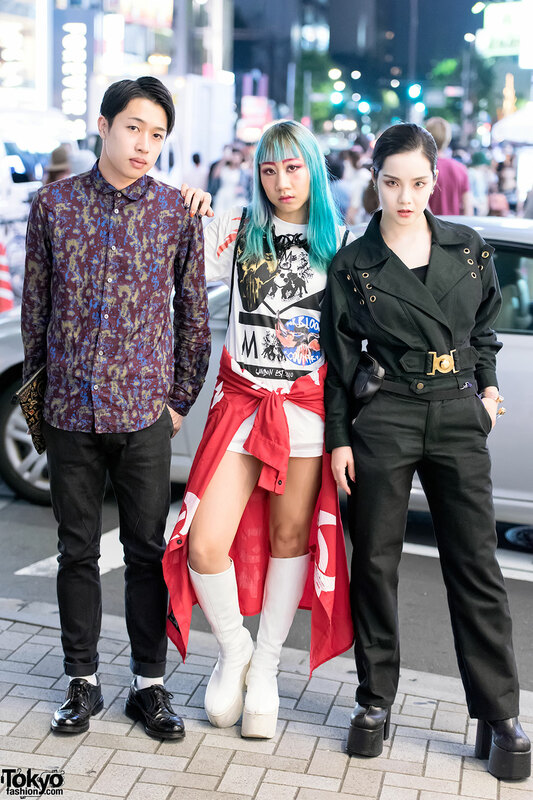 Harajuku girls in fashion by DVMVGE and Garter Tokyo with a Harajuku guy in fashion by Phenomenon and John Lawrence Sullivan.